The Flipout, Motorola's latest AT&T-bound Android phone, isn't exactly the most exciting device on the planet - this isn't even the first time we're seeing the square little bugger - and considering the fact that the Droid 2 can now be had for the low-low price of just $0.01, I suspect that charging $79.99 (or $349 off contract) won't win over many new customers for AT&T. 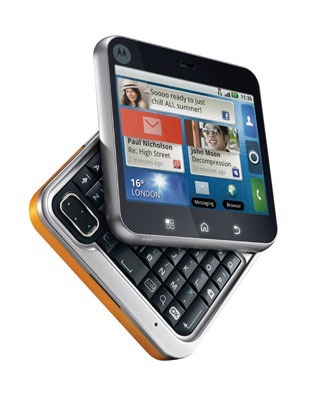 Nevertheless, for those of you who don't mind a 2.8-inch QVGA display, Amazon's touting the Flipout for the same price as the Droid 2 - $0.01 - on a new two-year contract. Android hackers have definitely come a long way since first rooting the T-Mobile G1 - it is no longer a surprise to see a device rooted on or even before launch day. 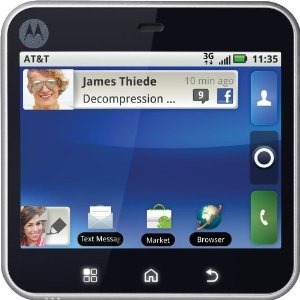 A version of the Motorola Flipout designed just for AT&T? Not possible, they say. If you want one, you better hurry, though, as there appears to be only a few left! 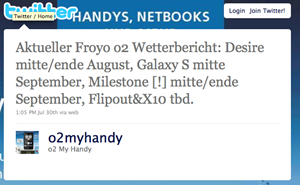 The official German O2 Twitter account posted a tweet this weekend that the Motorola Milestone (better known as the Verizon Droid to us Yanks) will be getting Android 2.2 in mid-late September of this year. 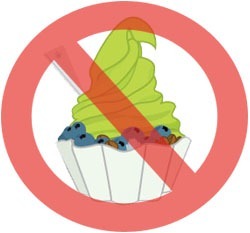 Also contained in the announcement was news that the HTC Desire will be receiving FroYo in mid-to-late August, and the Galaxy S in mid-September while the Flipout and X10 are still TBD. It’s great to see these phones receiving prompt updates to the latest OS version after the slower rollouts of some of the previous updates (We’re looking at you Eclair). 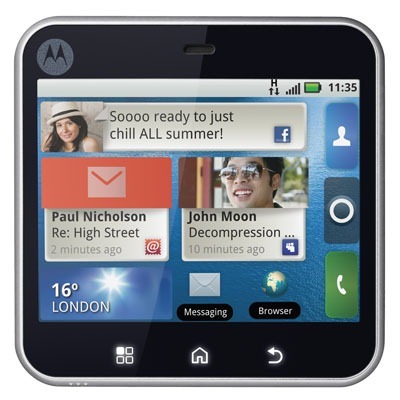 Motorola Flips Out With A Funky Square Form Factor – Includes Flash On Android 2.1? I wasn’t too kind to the Flipout when we first covered it here, and I can’t say that the official announcement has done much to change my mind. 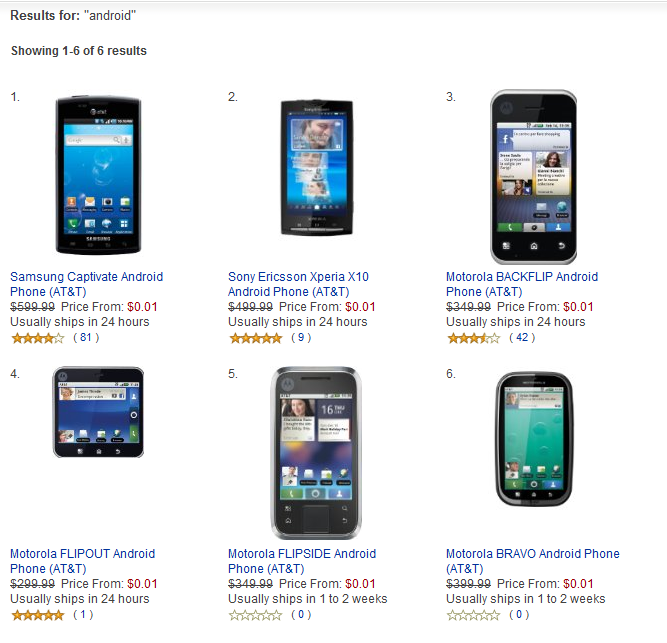 If it weren’t for the strange form factor (why can’t Motorola just stick to what we know works? 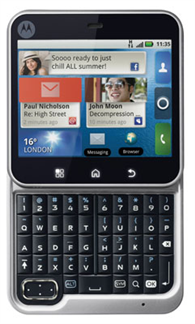 ), the phone would be another mid to low-range Android handset. For those of you in the States that think it’s hip to be square (see what I did there? ), you’re going to have to wait a bit before you can get your hands on this perplexing device as it’s slated to hit Europe first – apparently by the end of Q2 2010 (seeing as how it’s June already, the launch should be imminent). 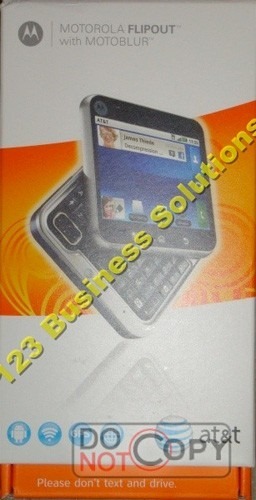 Motorola Twist Renamed The Flipout, Looks Just As Strange, Coming In June To AT&T? 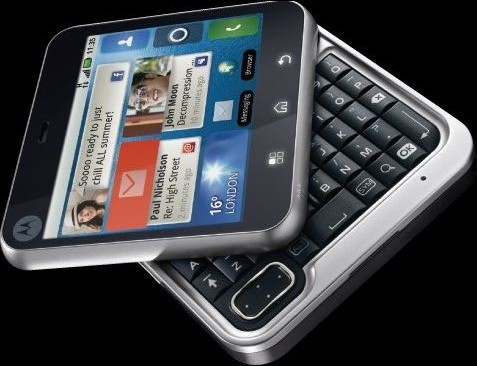 Remember the strangely shaped Motorola phone that we saw last month? It’s now known as the Motorola Flipout, according to the Italian site hdblog.it. 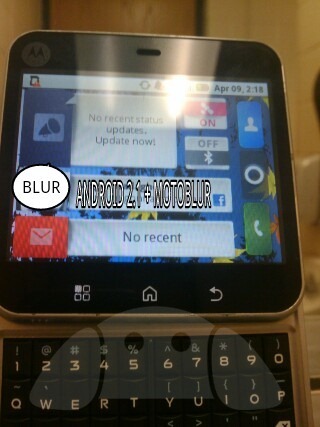 The Flipout is supposedly running Android 2.1 with Motorola’s custom MOTOBLUR interface and will be available in a choice of black, green, or pink. The specs given by HDBlog are the same as the ones that were leaked last month, so nothing’s changed there. 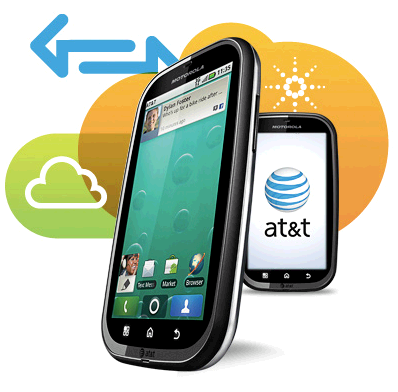 The Flipout is rumored to be headed to AT&T, although a confirmation is still needed. 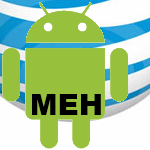 Motorola Twist: Another Crippled Android Phone For AT&T? Well, we finally have some specs to match up with the mysterious photos that have been floating around the web for last few days of a new and very square Motorola Android handset. We held off on reporting on the picture itself, because the story of its existence and lack of any additional information made the entire thing seem suspect. 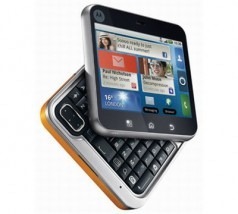 Now, though, we have some more details as Android France has released the specs for the handset, purportedly named Motorola Twist, and if you look carefully, you can see that it supports the 850/1900 WCDMA radio bands, AKA: AT&T 3G.